Kelly has been practicing myofascial release for four years. She has studied extensively under John F. Barnes, PT in learning his approach to myofascial release. This method is a gentle but effective treatment for the fascial (connective tissue) restrictions that are the underlying cause of most chronic pain and dysfunction within the body. 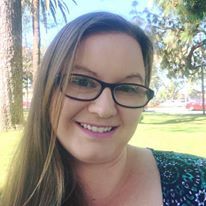 Kelly has treated clients both on the East Coast and here in San Diego for various diagnoses including fibromyalgia, migraines, TMJ, scoliosis, and plantar fasciitis. Her goal is to facilitate her clients in their healing journey to help release them from pain and to become their most authentic selves. Riley Cormack employs Swedish, deep-tissue and sports massage techniques to address issues of pain, injury, stress, anxiety, and reduced range of motion; and to promote greater relaxation, flexibility and general wellbeing. He has been a professional massage practitioner for 20 years.